Shred it up left and right, on or off the pavement with Cuttler from Supra®! Mid-top silhouette. Features simple lines and panels built on a low profile. Slightly padded tongue for comfort. Features snakeskin emoboss suede and black satin mesh lining. Metal eyelets for durability. Side panels designed with premium materials and minimal branding that creates a distinguished profile. Supra logo detail on tongue. White foxing with black pinstripe detail. Vulcanized sole with contrast traction. Imported. Measurements: Weight: 12 oz Product measurements were taken using size 9, width B - Medium. Please note that measurements may vary by size. Shred it up left and right, on or off the pavement with Cuttler from Supra®! Features simple lines and panels built on a low profile. Slightly padded tongue for comfort. Features snakeskin emoboss suede and black satin mesh lining. Metal eyelets for durability. Side panels designed with premium materials and minimal branding that creates a distinguished profile. Supra logo detail on tongue. White foxing with black pinstripe detail. Vulcanized sole with contrast traction. Imported. Measurements: Weight: 12 oz Product measurements were taken using size 9, width B - Medium. Please note that measurements may vary by size. 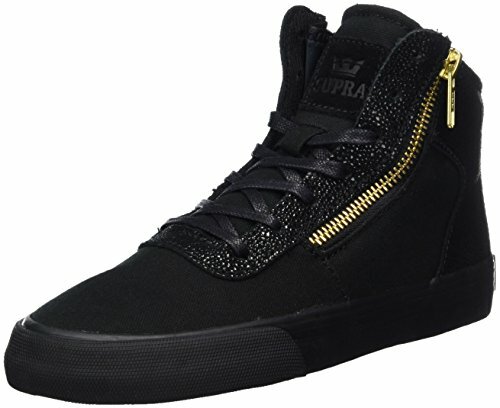 If you have any questions about this product by Supra, contact us by completing and submitting the form below. If you are looking for a specif part number, please include it with your message.